Otter and Arthur on TV! On November 28, 2012, I appeared on the KCTV5 television show Better Kansas City (airing from 9:00am to 10:00am CST). I was interviewed about my book, Otter and Arthur and the Sword in the Stone and discussed the writing and publishing process. I’ve been a fan of King Arthur since I was a teenager. I wanted to share the stories with my kids, who are 10 and 7. However, books about King Arthur tend to be the equivalent of R-rated movies so I decided to write my own age-appropriate version. I focused on the young Arthur and how he is befriend by a mouse nicknamed Otter. This mouse is responsible for Arthur fulfilling the legend of pulling the sword from the stone and becoming king. The book is available through OtterandArthur.com and at Shawnee Books & Toys. What advice do you have for wannabe writers? Write, write, write. Don’t worry about whether it is good. Don’t worry about how many words you write each day. Don’t worry about whether you have your idea fleshed out. Don’t worry about editing. Just write. Get your ideas down on paper. The rest will come later. So how you stick it out and finish a book? I recommend finding a writers’ group. I joined one I found through Meetup.com (The Kansas City Writers Meetup Group) by just searching for writers’ groups in the Kansas City area. The advantage of such a group is having a support system. They keep you focused and give valuable feedback to help you fine-tune and finish. Your book is self-published. Why did you go that route instead of a traditional publisher? The traditional route is a long and hard journey. One must write query letters to try to get agents, expect to get rejected many times over, and – even in the best case scenario, be prepared for a couple years to go by before the book is published. Even then, there’s no guarantee how much marketing power a publishing company will put behind the book. I can get the book out there as fast as I want and I make all the decisions. For this book, I hired professionals to edit it and do the book design, but someone could even do that themselves. So how does one get self-published? I use CreateSpace.com. It costs nothing, is easy to use, and is affiliated with Amazon. You upload a jpeg cover and a pdf file of the book’s content. The book lists on Amazon as a print-on-demand title which means the author can order one copy or a hundred. 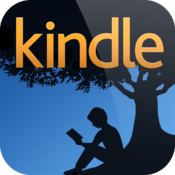 You can also create an ebook version for Kindle. 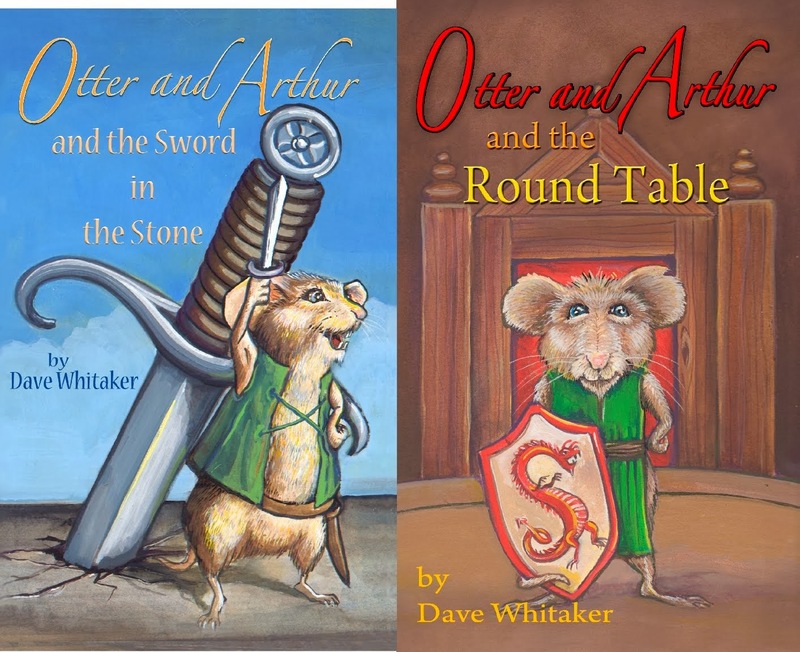 Click on any of the above icons (CreateSpace, Amazon, Kindle) to go to those sites and purchase Otter and Arthur and the Sword in the Stone. You can also click on the "Buy the Book" tab on this site. Follow Writ by Whit or Otter and Arthur on Facebook for more about writing and this book in particular. I haven't blogged in awhile, but it isn't for lack of news. Exciting things are happening with Otter and Arthur. I have done readings and appearances at schools, sold my book in conjunction with my sons' school book fair, and have an upcoming television appearance! The chance to share the book at schools has been especially rewarding. Not only do I read selections of the book, but I talk to the kids about the process of writing a book and getting it published. At one appearance, I spoke to somewhere between 80-100 kids. The discussion started with me asking what kinds of stories they have written. Then I asked them what they thought my book was about just from looking at the cover. I love these discussions more than reading the book! I'm looking forward to my first television appearance (11/28/12, 9:00am, KCTV5). I will be on the show Better Kansas City. I will be interviewed about the book and the process of becoming an author and getting self-published. 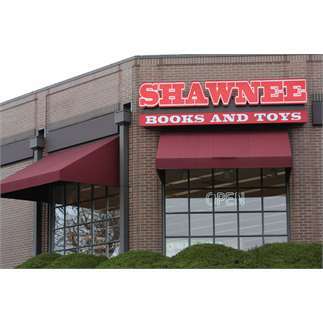 In conjunction with the interview, the book will also be avaiable at Shawnee Books & Toys. You can check the Events tab on this site for details on all of the aforementioned activities. The book is now also available for Kindle. Click here for details. I also got one of the best possible reviews I could ask for. A friend bought the book and as soon as she got home, her bookworm daughter disappeared to her bedroom with it. She didn't emerge until she'd finished the entire book. Her assessment? She loved it! 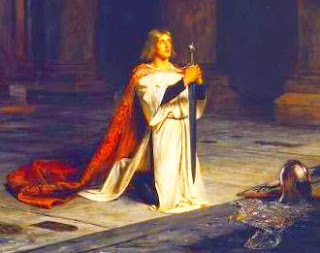 My interest in King Arthur dates to 1981 when I read John Steinbeck’s The Acts of King Arthur and His Noble Knights in my 8th grade reading class. As an individual project, I opted to write a journal following the life of Sir Gawain for one month. The journal leads up to the quest of Gawain, Ewain, and Marhalt – a story told in Steinbeck’s Acts. I have done minimal editing to the text, opting to preserve it as closely as possible to the original writing as done by my fourteen-year-old self. Through writing this journal I have used literary skills, done research, spent a lot of time reading and writing, and have made good use of my imagination. Through my research and reading, I have learned much more history of the Dark Ages. Some subtopics I have done a little or a lot of research include castles, clothing, religion, food, knighthood, armor, weapons, special celebration, and activities, illness, and technology. My journal has allowed me to take a character from the text of The Acts of King Arthur and His Noble Knights and give my opinions through that character. I have chosen to write about Sir Gawain because of his adventurousness as well as his boastful but courageous attitude. Sir Gawain seems to be and is a sort of a rascal. I feel that he has a warm, sensitive, emotional side also. Most have rarely seen this side though. The journal begins with Gawain coming to Camelot to become a knight. After being knighted, he soon meets foes and friends and speeds into adventure. It doesn’t take long for Gawain to realize what being a knight is all about. Through his activities Gawain shows us the meaningfulness of being a knight. Here begins the journal of the activities and travels of Sir Gawain, son of King Lot of Orkney and nephew of King Arthur, throughout the merry month of May in the year 510 A.D. I, Gawain, son of King Lot of Orkney, became a knight on the first of May, year 510 A.D. I was one of two knighted upon this day. I set out on horseback at dawn yesterday. I rode to Camelot to ask King Arthur for the gift of knighthood. Camelot was beautiful. The castle set high upon a hill with a moat around it. The castle had one main keep and four others. Built inside the walls were stables, peasant’s homes, the Lord and Lady’s quarters, cells, halls, a chapel, buttery, pantry, storage chambers, and many other rooms. After my arrival, I requested my knighthood to Arthur. After his consent, I went through a night of vigil and then received Holy Communion. That afternoon I became enraged and envious when Sir Pellinore, my father’s murderer, was recognized as a most honorable knight. I wished to take vengeance on him immediately, but held myself back. Waking early, I dressed and then left the guest chambers of Camelot. I went to the Great Hall for breakfast of grain, cheese, and cider. Gaheris, my brother and squire, and I then left Camelot to go hunting. We each brought a steed. I also brought a falcon and a hound. We also brought spears, crossbows, and hunting knives for each of us. We succeeded in catching a hare and goshawk soon into the hunt. We caught a stag later on. As we headed home, we came across Sir Torre, who was shooting with a crossbow. Noticing his poor shooting, I attempted to give advice to him. However, he refused it, saying I insulted him. He then challenged me to a contest. I promptly beat him and he became enraged. He pulled his sword and leapt at me. I defended myself with parries and jabs. Soon Sir Brastias rode to us, broke up the joust, and sent us home. Back at Camelot, Gaheris and I supped and retired to our quarters. With that, I left the peasants. The rest of the day was slow and gloomy. That night I went to rest uneasily, for showers had set in. The day went slowly. Gaheris and I had planned to go to West Camel, the market place, but the weather was not pleasant. Most everyone stayed inside the castle and entertained themselves with singing and dancing or small tasks. I participated in some of the merriment, but couldn’t enjoy it. I felt somewhat better mid-afternoon when the weather conditions improved, but I still could not shake the feeling of despair. Talk of the wedding circulated as it was only two days off. I listened to some of the conversation, but remained uninterested. I perked up a little at supper, but still felt gloomy and went to bed early. The morning was sunny and warm. I felt tired, but cheerful of the weather. Gaheris and I left mid-morning to West Camel where I hoped to find a cobbler to make new sandals for me. We found a cobbler soon after our arrival. I gave him designs and instructions and then set about to do more tasks. Gaheris and I dined with a few friends and I shortly met a damsel to my liking. Before we took leave, a knight approached and asked my damsel for her love. I told the knight that the maiden Guyvene was mine asked him to leave. He angered and drew his sword and slain her in his jealousy. “I shall have vengeance on thee,” I replied. “Thee will one day fall to thy knees and beg for mercy and thee will one day be destroyed.” And with that, Gaheris and I returned to Camelot. King Arthur and Guinevere’s wedding was beautiful and exciting. After the marriage ceremony, there was a large three-course dinner followed by entertainment from jesters, jugglers, and harpists. Chess, singing, and dancing was also present. 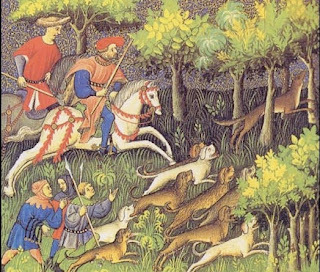 Then, as predicted by Merlin, a pack of black hounds and a white brachet ran into the hall pursuing a stag. A knight took the brachet and rode off. A lady then rode into the court and demanded her brachet. She was taken by a knight who galloped off as fast as he had come. I was instructed to go in quest of the stag. Gaheris and I came across two quarreling brothers and sent them to King Arthur. We then came across a knight whom I had to joust with and I killed him. We caught the stag and killed it at a castle. A knight came from the castle and fought me because I’d killed his stag. I promptly defeated him and prepared to kill him. It so happened a damsel ran and tripped over the knight just as I prepared to swing the sword towards his neck. I accidentally struck and killed the fair maiden. I then sent the knight to King Arthur. Next Gaheris and I were unfortunately captured by four knights. Then we were saved by four young maidens who pleased for our lives. The next morning the maidens pleaded for our release after learning my relationship to the king. We rode back to Camelot and reported the adventures of our quest to Arthur and Guinevere. After hearing my tale, Queen Guinevere commanded I would serve and protect all ladies. She then proclaimed I must swear to be merciful and courteous. Upon this day I was in my first tournament. 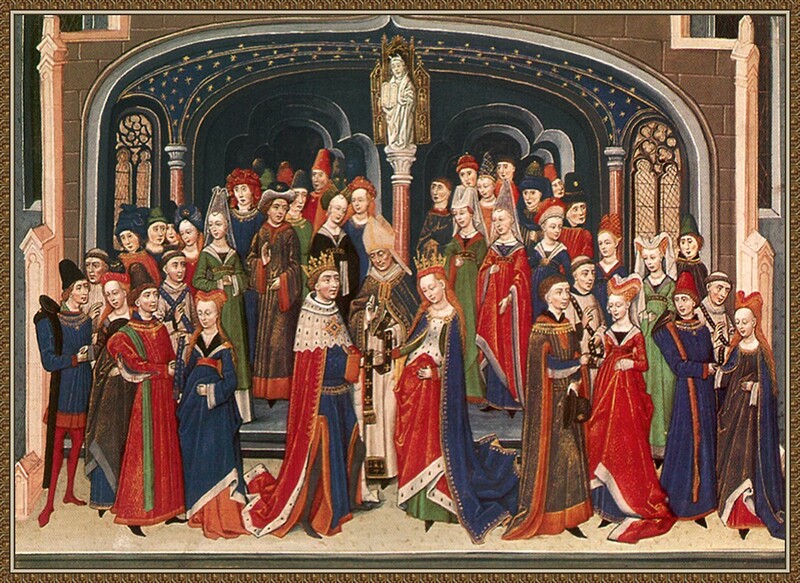 The tourney began with the presentation of the knights’ banners in a glorious parade. We knights were then dressed in our full armor by our esquires. I fenced with one opponent upon this day – Sir Anthony of Thornborough. This came about after I had told Arthur of Sir Anthony. Arthur proclaimed trial by combat and that the winner would receive all of the loser’s property. So it was. I charged at Sir Anthony on my steed with lance and shield ready. We clashed and both lances shattered. Our esquires provided us with new ones and we charged once more. This time only Sir Anthony’s lance shattered. I dismounted to face him. We parried and jabbed until we both had lost much blood. He finally fell to his knees for mercy. I was declared the winner and Sir Anthony had to give up his property and was banned from Camelot. Gaheris and I went to Sir Anthony’s lands on the 9th of May. The lands were of great beauty, yet less than the land of Camelot. Upon the lands was a small castle located at the fork of the Yeo and Cam rivers. It was fairly new, small, fancy, and well defended. We slept in the castle that night and I found it very restful. I named the castle and lands around it Cuchullin. We now live there. Gaheris and I rode back to our original home and gathered our belongings. We loaded our things in carts and rode back towards Cuchullin. As it was already afternoon, we stopped and ate of stewed pork, nuts, and grain and drank ale. After our dinner we rode on and soon arrived back at Cuchullin. It already began to seem like home. I had a servant clean my mail as I went out hunting. I caught a stag and two birds and brought them back to be prepared for supper. After a small supper, I turned in at dusk. I took up friendship with a man at Cuchullin by the name of Dackery. Dack, as I called him, was previously esquire to Sir Anthony, who he hated very much. In the afternoon of this fine day, Dack and I set out to the forests to test our skills. He proved competitive and I said he should become a knight. On that very afternoon we rode to Camelot and Dack asked Arthur for knighthood. Arthur refused Dack after learning he had been esquire to Sir Anthony. Dack explained his hate for his master and Arthur forgave him and made him a knight. Dack, Gaheris, and I set out for a trip to Stonehenge. We packed lightly and set out towards Salisbury. There were few good paths, if even a path. However, because of the warm weather, the shade from the overhead trees felt good to us. After several hours of riding, we rested and ate. It was a light dinner followed by a good nap. The afternoon seemed to pass by quickly and we soon found ourselves eating supper. After we had supped, we talked and sang. We then fell to sleep soon after the sun had set. We arose at dawn and began to prepare our breakfast. I set out alone to hunt for food. The light was just appearing and I had to be careful. I glanced around me as I walked and then heard a faint noise. I listened carefully and identified the noise as howling wolves. I shivered and walked even more conscientiously. The wolves were drawing closer. I moved even more cautiously – and then it happened. Before I knew it, several large gray wolves had pinned me down and their clamping jaws and clawing feet pained me even through my mail. I bled severely and yelped in pain. My hand then touched my scabbard. In the blink of an eye, I pulled out my sword and slashed about wildly, killing each of the wolves. I lay in great pain hoping Gaheris or Dack would find me before a creature of the wild. Gaheris and Dack made a stretcher for me and brought me to the nearest home. We then asked to be permitted in and the friar of the shack agreed. We stayed at the peasant’s shack all day. I lay in bed, looking about me and talking and listening. The one-roomed hut was made up of a trestle table in the center of the earth-beaten floor, dishes of wood and pottery which sat on the table, several stools and benches around the table, a trunk, blankets, tools, and linen towels. We talked of Christian and Pagan religions. All in the room spoke of being Christian, yet formerly of Pagan religion. I told of Arthur’s influence to Christianity in his court. We continued to talk all afternoon and then supped and fell to sleep. We set out once more. We travelled little on that day before arriving at Stonehenge. The large stones sat in circles and captivated us. We wondered why someone had gone to the trouble of erecting this. We discussed numerous possibilities. Gaheris and I felt it was kind of a temple while Sir Dack said it was an observatory. Our attention remained on Stonehenge for a long while. We discussed it well into the night. We fell asleep several hours after dusk. 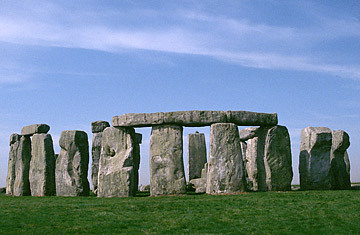 As I dropped off to sleep, I thought of the captivating and mystifying Stonehenge. We packed up camp after we had eaten our breakfast. We left Stonehenge soon afterwards. We didn’t want to leave, but we also wanted to return to Cuchullin. We ate a good but speedy meal when we sat down to dinner at noon. We then set out once more, hoping to reach Camelot by sun down and stay there for the night. In the later afternoon we stopped and rested. We heard noises and hunted them down. We found the noises to be several wild boar. We killed one but the others escaped. We did make our schedule and arrived at Camelot in time for supper. We gave our boar to the cooks and ate it for supper. We then turned in so we could get up early and head for Cuchullin. We finally returned home. It was only a couple hours worth of riding after leaving Camelot. The castle was no different than it was at our departure. The swift routine that came already bored me. So it was. We at the normal foods, enjoyed the regular entertainment, and followed the regular schedule. I guess part of living in a castle is the routine that comes with it. I realized I would rather live in the castle than not. I went to bed that night at the usual hour and soon dozed off. I returned to Camelot where many knights gathered for a small tourney to practice their martial skills. 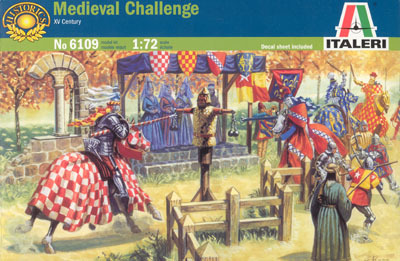 The tourney consisted of jousting, archery, and skills also of lance, knife, shield, spear, and stag. I won as many times as I was defeated. We knights also took up charging at the target dummies. In this skill we rode on horse with lance in hand and charged at the target. If we hit with a blow off-center, the dummy swung and dealt us a swift blow. I was hit several times and once was knocked clean off my horse. At the tourney, I gave invitation for a feast to several knights. I had planned for a feast at Cuchullin soon and decided now was as good a time as any. I rode back to Cuchullin with Sir Dackery afterwards. I then supped and went to bed soon after. Sir Dackery left on a quest. Arthur had proposed that he set out and prove his honor. I knew not how long it would be before I saw Dack again so I rode with him for awhile. I saw him off and prayed for his luck before returning to Cuchullin. The day moved slowly. I was lonely for I missed my friend. I could not find interest in anything. My food was tasteless and the entertainment was boring. I remained sad throughout the day. My spirits never rose. Gaheris and I went to West Camel to get my sandals. When we arrived at the market, the cobbler was just putting the finishing touches on my sandals. We waited until he was done and then I tried them on. They fit perfectly and I told him so. Gaheris and I soon went back to Cuchullin and finished up the day. I began preparations for a feast. I planned who would be my guests, what food would be served, and what entertainment would be provided. Some of the work I had done days back, but a lot I’d just begun. The servants spent the day preparing and cooking food. I inspected all the food and made sure everything ran accordingly. I also had to discuss various things with household members such as the steward, butler, pantler, baker, and cook. I sent messengers to give invitations to the guests. I planned for usual entertainment such as singing, dancing, lute players, harpists, jugglers, and jesters. I had few problems planning the feast. I hoped the real thing would turn out well. On the morning of the feast guests arrived continuously. Entertainment was provided as I made last minute preparations. After all the guests had arrived, we sat down to feast. The first course was comprised of brewet, beef marrow fritters, and saltwater fish. Freshwater fish, broth with bacon, and pastries comprised the second course. The third course was made up of frumenty, fritters, sturgeon, and jellies. Finally, to finish off the meal we had sweets, spiced wine, and wafers. We then had entertainment once more and afterwards the guests began to leave. They seemed to have enjoyed it, as I had. I went to bed that night feeling cheerful and delighted with the success of the feast. It had been a hit. Gaheris and I set out on our steeds with knives, spears, and crossbows. We headed north for a hunt. I soon saw a stag and sent my hound after it. I raced after my hound and caught up just as it pulled the stag down. I stabbed the stag as Gaheris rode up. He congratulated me on my catch and we set off again. We looked towards a rider in the distance. As he grew nearer, I recognized him as Sir Anthony. I inquired where he was headed. “West Camel,” he replied. He then told me news which made me burn with anger. “I have killed thy brined Sir Dackery,” he said and held up a head. When I saw it, I leapt at Sir Anthony, knocking him off his horse. He pulled his sword and swung it. It cut deep into my left arm and there was much bloodshed. Gaheris took me back to Cuchullin and I was treated for the rest of the day. I stayed in my bed at the castle all day. Servants provided entertainment to keep me in a joyful mood. Singers, dancers, harpists, lute players, and jesters kept me smiling brightly. I also played some chess and was served large meals. When I went to bed that night I reflected on the events of the last two days. The pain in my arm and my anger returned. I vowed to kill Sir Anthony. The day went much like the 24th except I was not nearly as happy. I lay in my bed ignoring the entertainment and dreaming of the day I would take vengeance on Sir Anthony of Thornborough. I ate large meals yet the food seemed as tasteless as the entertainment was joyless. I went to sleep restlessly that night. My arm had improved and pained me little, but kept me up deep into the night. I was very restless and demanded to be let out of bed. When I got up, I walked around the castle and even strolled outside. I exercised my arm with bow and arrow and strengthened my dexterity. My left arm still felt weak, but I could feel it beginning to strengthen. I announced that I would leave and find Sir Anthony the next day and take my vengeance upon him. I readied my horse and gear for the trip. I planned to head towards West Camel the next morning. “Thank ye!” I said, already running to my horse. I had to stop that night before finding Sir Anthony, but was determined to fin him the next morning. Next morning I rode south until I saw a half-built crude house. I looked around but found no one. I soon heard a familiar voice. It was that of Sir Anthony. I hid in the hut and awaited him. When he walked in, I pounced on him and we began bloody combat. We jabbed, cut, and parried for more than an hour, wounding each other severely. Finally he fell in weakness. He begged for mercy and I gave him none. I rode on to Camelot, delighted that I had killed my worst enemy. 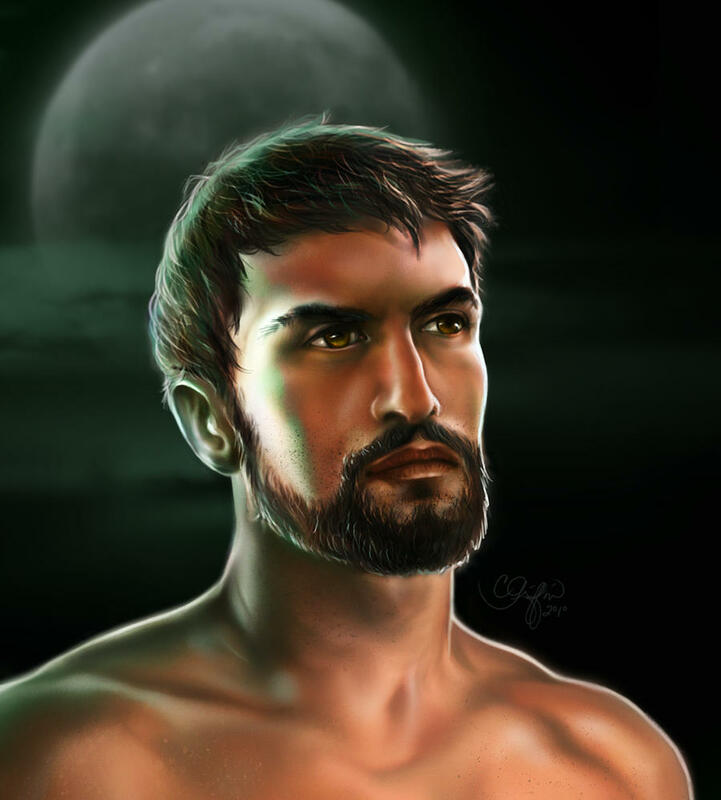 It happened that on that day Sir Ewain was asked to leave Camelot and prove his honor. I felt he was dishonored and vowed to go with him. Ewain and I set out on quest after finishing preparations to make leave of Camelot. We became friends with Sir Marhalt after I fought him. I was getting the better of the knight at first. When we continued after a rest, my strength had waned and Marhalt defeated me. He then agreed to ride on quest with us. We stayed at his castle that night and planned to set out at sunrise. Upon the morning, we set out for the Forest of Array. At the forest, we found three women who sat at a fork in the road which split into three paths. The women volunteered to be our guides. We each chose one. I chose the youngest. We then promised to return to the fork at twelve months’ end. I and my guide rode the northward path. As we rode, I modestly spoke of my courageousness to her. She said nothing. After a day of riding we stopped and stayed at a manor house for the night. The old knight of the house took us to a field in the morning. There we witnessed a knight who allowed himself taken captive after defeating ten knights. We did not understand it, but could not get an answer to our questions. I later jousted with a knight. We fought at his challenge. As I tilted with the knight, my damsel left me for another knight. I asked the knight about the sight I’d seen earlier with the knight who’d fought ten knights. When I told of my hope to find Sir Pelleas, the knight said I would not find him. Despite his lack of confidence, I vowed to set out and find Sir Pelleas, for I pitied him. I knew not why Sir Pelleas had allowed his capture, nor did I know my chances of finding the knight yet I vowed to ride in search of Sir Pelleas on June the 1st. And so, endeth the merry adventures of the boastful knight, Sir Gawain, in the merry month of May, 510 A.D.
Robert Delort. Life in the Middle Ages. New York; Universe Books. 1973. Joseph and Frances Gies. Life in a Medieval Castle. New York; Harper and Row. 1979. Christopher Hibbert. The Search for King Arthur. New York; Harper and Row. 1969. Elizabeth Jerkins. The Mystery of King Arthur. New York; Coward, McCann and Geoghegan, Inc. 1975. Sir Thomas Malory. Le Morte d’Arthur. New York; Bramhall House. 1962. John Steinbeck. The Acts of King Arthur and His Noble Knights. Toronto; McGraw-Hill. 1977. Reay Tannahill. Food in History. New York; Stein and Day. 1973.